CAPF stands for Central Armed Police Force which comes under the Ministry of Home Affairs.Though, plenty of people think that it is a branch of the Indian Army, butit is not.It is headed by the Indian Police Services or IPS and its exam is conducted by the UPSC. There are 5 branches of the CAPF, includingBSF (Border Security Force), CRPF (Central Reserve Police Force), CISF (Central Industrial Security Force), ITBP (Indo-Tibetan Border Police) and SSB (Sashastra Seema Bal). Assistant Commandants in the CAPF serve their nation and protect the borders of the country.To become an Assistant Commandant in the CAPF, candidates have to qualify the written exam as well as crack the interview. If you want to become an AC, here you will find CAPF AC Exam Syllabus that helps you prepare for the exam and interview. All the questionswill be designed to test the logical reasoning, quantitative aptitude including numerical ability, and data interpretation. This section covers questions that test students’ general awareness, comprehension, scientific temper and appreciation of scientific phenomena of everyday observation. In this section, all the questions will test the candidates’ awareness about current events of national and international importance in the areas of art, music, literature, culture, sports, governance, business, industry, societal and developmental issues, and many more. 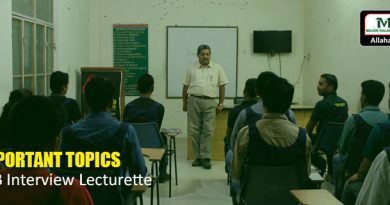 This section is designed to test the knowledge of the candidates about the Country’s political system and the Constitution of India, economic development in India, and so on. All the questions will broadly cover the subjects in its social, economic and political aspects. They will alsoinclude the areas of growth of nationalism and freedom movement. All the questions will cover the physical, social and economic aspects of geography pertaining to India and the World. Essay questions should be answered in the long narrative form either in Hindi or English. This section will talk about modern Indian history like freedom struggle, geography, economy, and so on. Comprehension, precise writing, other communications/language skills –need to be attempted in English only (Marks 120).Part B includes various topics that include Comprehension passages, précis writing, developing counter arguments, simple grammar and other aspects of language testing. Before appearing the exam, acquire a complete detail on CAPF AC Exam Syllabus and increase your chances to get qualified.